English can be a confusing language to learn! Have you ever come across two words that sound the same, but have different meanings? These are called homophones. 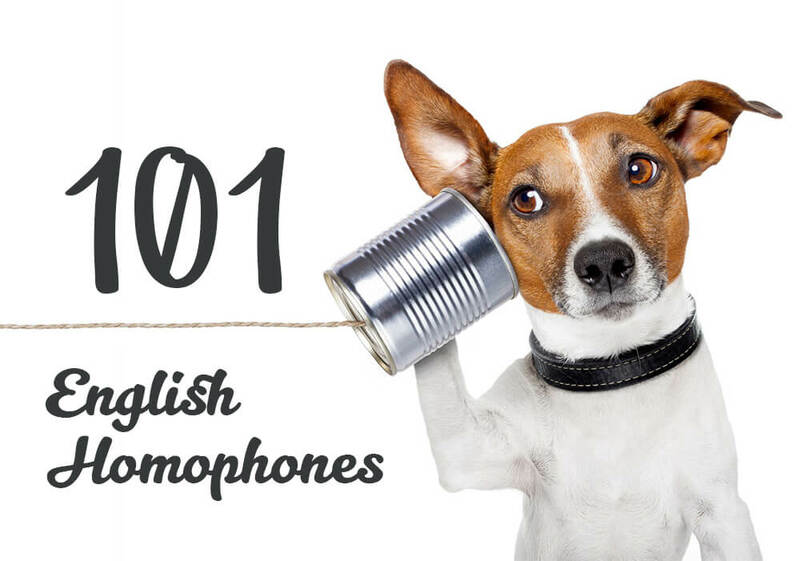 In this detailed guide, you will learn 101 sets of homophones with real native examples. Don’t forget to check out our study tips and quiz at the end! Homophones are two or more words that sound the same (identical pronunciation), but have different meanings. These words are often spelt differently in English too (e.g. pear vs. pair). The term homophone comes from Greek ‘homo-’ (meaning: same) and ‘-phone’ (meaning: sound or voice), so the word literally means: ‘same sound’. English has more homophones than most languages because its pronunciation has changed a lot over time, while its spelling has changed very little. Many words have been borrowed from other languages through the centuries and this explains why English spelling is so strange (or confusing!). For example: right (Old English: riht) vs. write (Old English: writan) vs. rite (Latin: ritus). In the past, these words would have been pronounced differently, but today they all sound the same in modern English. In this guide, we will focus on homophones in British English. Most of these are the same in American English too. However, national and regional accents change the way people pronounce words and sometimes this creates different homophones. For example, these words are homophones in American English, but not in British English: hostel/hostile, balm/bomb, caught/cot, halve/have. Let’s take a look at some homophones! In this list of English homophones, you will find simple, intermediate and more advanced level vocabulary. For each pair or set, there are meanings and examples. Some you will know already, but others will certainly be new! Where possible, these homophones have been put into approximate categories to help you organise and learn them. One (noun): The number that comes after 0 but before 2. My son is one year old today. Won (verb): The past tense of ‘win’. The football team won two games in a row. Two (noun): The number that comes after 1 and before 3, a pair. He bought two packets of crisps. To (preposition): In the direction of a particular location. Too (adverb): To a higher degree than desired, also. The girl was too tired to work. I was tired too. Four (noun): The number that comes after 3 and before 5. For (preposition): If someone receives something, if something is done for a reason. I bought John some sweets for his birthday (for him to eat). It is common for native speakers to use numbers in online chat or SMS messages. For example, you can write ‘before’ like ‘b4’ and ‘forget’ as ‘4get’. This is because ‘for’ sounds the same as ‘four’ (4). Another common example is ‘m8’ (mate – friend). Eight (noun): The number that comes after 7 and before 9. There were only eight days left until Christmas. Ate (verb): Past tense form of ‘eat’. We ate dinner together then went home. Steak (noun): Prime cut of meat, usually beef. My all-time favourite meal is steak and chips. Stake (noun): A strong wooden post with a sharp point at one end. Vampires can only be killed with a stake through the heart! Bean (noun): Edible seed that grows in pods on leguminous plants. Baked beans on toast is a traditional British dish! Been (verb): Past tense form of ‘be’. Where have you been all night? Pear (noun): Common type of fruit. Would you like a pear from the garden? Pair (noun): A set of two things (often used together). He couldn’t find a matching pair of socks. Bread (noun): Type of food. Our local bakery sells the best wholemeal bread for miles! Bred (verb): Past tense form of ‘breed’ – to raise or develop animal stock. In the past, many farmers bred rabbits for meat and fur. Cereal (noun): Grain used for food (e.g. wheat), type of dried breakfast eaten with milk. My favourite cereal is cornflakes. Serial (noun/adjective): A story or programme delivered in instalments, taking place in series. The serial killer loved watching serials on TV! Flour (noun): Ingredient used to make bread and cakes. This recipe uses two cups of flour and 1/4 cup of sugar. Flower (noun): Seed-bearing part of a plant. Her husband gave her a nice bunch of flowers on her birthday. Meat (noun): Food from the flesh of an animal. The hotel guests got food poisoning because the meat wasn’t cooked properly. Meet (verb): Arrange or happen to cross paths with somebody. I’m going to meet my friend at the train station this evening. Chilli (noun): Small spicy pepper or pod used in cooking. I ordered the Mexican Hot Pizza, but couldn’t eat the chilli on top! Chilly (adjective): A bit cold, not warm. Don’t forget your coat! It’s a bit chilly out today. Mussel (noun): Mollusc with purple-brown shell. I had the mussels as a starter and they were delicious! Muscle (noun): Type of human body tissue. What do you prefer in a boyfriend – brains or muscles?! Wine (noun): Alcoholic drink made from fermented grapes. Chilled white wine goes well with fish. Whine (noun/verb): Long high-pitched cry, complain. The little dog shivered by the door and let out a whine. Bite (noun/verb): Tear something apart with teeth. Let’s grab a bite to eat in town after work! Byte (noun): Unit of measurement of digital information. How many bytes are there in each character in MS Word? Grate (verb): Shred into small pieces using a food grater. The recipe says we need to grate the cheese into the sauce. Great (adjective): Large, prominent, very good. The Great White Shark is a great hunter! Berry (noun): Small pulpy fruit. Did you know that watermelons are a type of large berry? Bury (verb): Put or hide underground. You shouldn’t bury your head in the sand each time there’s an argument. Currant (noun): Type of berry, also of dried berry variety. We have lots of currant bushes at the bottom of our garden – both red- and blackcurrants. Current (noun/adjective): Strong flow of water, present or up-to-date. Surfers should be aware of the strong currents along the south coast of England. Even native speakers get confused by the way words are pronounced vs. written! Here are some examples of commonly confused homophones: compliment/complement, practice/practise, principle/principal, lightning/lightening, insight/incite, miner/minor. Leek (noun): Long white and green stick-like vegetable in the onion family. Wales is famous for its rainy weather and its giant leeks! Leak (noun/verb): Hole through which fluid can escape accidentally, drip out. Our roof has got a leak so we need to fix it before winter comes. It is common for manufacturers to use maize as an ingredient in many processed foods. Chatsworth House has a maze that is made up of a network of paths and hedges. Thyme (noun): Type of aromatic herb. What goes best with roast chicken – thyme or rosemary? Time (noun): Period, measure of seconds/minutes/hours/days/etc. How much time does it take to cook a roast chicken? Sauce (noun): Liquid used to add flavour to food. This Chinese cooking sauce uses a variety of citrus fruits. Source (noun): Origin, cause of something. Citrus fruits are a good source of vitamin C.
Sweet (noun/adjective): Candy, food with a sugary taste. If you eat up all your vegetables, I’ll let you have one more sweet! Suite (noun): Set of rooms or technical instruments. The journalist interviewed the rock star in his London hotel suite. Mousse (noun): Light and fluffy dessert. The French restaurant opposite our office sells the best chocolate mousse in town! Moose (noun): Large animal in the deer family. Do people eat moose in Canada? They certainly have a lot of them! Hare (noun): Animal that looks like a large rabbit. The hare hopped through the woodland. Hair (noun): Growing from the skin of humans and other animals. Her hair was so long that she had to wear a large hat to work! Bear (noun): Type of large hairy animal. Our local pub is called The Brown Bear. Bare (adjective): Naked, without clothes/covering, plain. If you walk around with bare feet you might cut yourself! NOTE: The word ‘bear’ is also a verb that literally means ‘to carry a load’. This is not often used in modern English, although you will find it in expressions like ‘I’ll bear that in mind’ (remember) or ‘I can’t bear it!’ (tolerate, put up with). Deer (noun): Large animal with antlers, similar to a small elk or moose. Some UK farmers keep deer and breed them for their meat (venison). Dear (noun/adjective): Beloved person, expensive. The wedding ring you’ve chosen is a bit too dear, my Dear! Gorilla (noun): Large ground-dwelling ape. African gorillas live in mountainous forests in the west of the country. Guerrilla (adjective/noun): Unauthorised and irregular (military) action, partisan fighter. The Colombian guerrillas lived in the jungle and sometimes attacked government troops. Sole (noun): Variety of marine flatfish. I really love grilled sole with a touch of lemon! Soul: Spirit, immortal part of a human. For my philosophy course, I have to write an essay about the human soul. NOTE: The word ‘sole’ is also a noun that refers to the underside of a person’s foot or shoe, and the word ‘soul’ can be used as an adjective to describe the musical genre. Flea (noun): Small jumping parasitic insect that often lives on dogs or cats. I caught a flea on our cat today so we’ll need to wash him with special shampoo. Flee (verb): Run away or escape from danger. After 3 months of bombing, the family decided to flee the conflict in their war-torn city. We saw a boar and a tiger when we visited the local zoo. Bore (verb/noun): Make someone bored or disinterested, a boring person. John‘s such a bore! All the guy talks about is golf and work! NOTE: In technical contexts, the word ‘bore’ can also mean ‘make a hole using a tool’. Therefore, ‘borehole’ would be an engineering word for a drill hole, and not a hole made by a wild pig! Horse (noun): Four-legged animal often used for riding or work. When my grandfather was young, he went to school on a horse and cart. Hoarse (adjective): Describes a rough or husky voice due to a sore throat. I was feeling hoarse before the concert, but managed to sing when I got up on stage. Lynx (noun): Type of medium-sized wild cat. In American Indian mythology the lynx is considered a ‘keeper of secrets’. Links (noun): Plural form of ‘link’, connections or points of contact. Our company has links to suppliers all over the world. Whale (noun): Largest (marine) mammal on Earth. Thanks to the work of conservationists, most species of whale are now protected. Wail (noun/verb): High-pitched cry of pain, anger or sadness. I heard a patient wail in agony from the neighbouring (hospital) ward. Mare (noun): Adult female horse. Children often came from the village to feed apples to the old mare. Mayor (noun): Elected leader of regional government. The mayor cut the ribbon at the museum opening ceremony. Toad (noun): Type of large brown frog. There’s a toad living in our garden pond and my daughter has named it ‘Freddy’! Towed (verb): Past tense of ‘tow’, when one vehicle pulls another. When our car broke down, a neighbour kindly towed it home for us. The three-toed sloth lives in the jungles of Borneo. I (pronoun): Used by a speaker to refer to himself/herself. I did not enjoy the film. Eye (noun): The pair of organs that allow us to see. I’ll (contraction): Short form of ‘I will’. I’ll get to school on time if there is no traffic today. Isle (noun): A small island. We go on holiday every year to the Isle of Wight. Aisle (noun): Passage between two rows of seats. Passengers must not leave their bags in the aisle at any time. NOTE: While ‘isle’ and ‘aisle’ are always homophones in British English, the contracted form ‘I’ll’ is pronounced differently in many regional accents (isle vs. aal). The same is true for similar contractions like ‘you’ll’ (yule vs. yorl) and ‘we’ll’ (wheel vs. wirl). You (pronoun): Used to refer to the person or people being addressed. Would you like to come round for dinner sometime next week? The little lamb followed its mother as the ewe crossed the field. Yew (noun): Type of evergreen tree. Traditional English longbows were often made from yew (wood). You’ll (contraction): Short form of ‘you will’. I think you’ll improve your piano playing with practice. Yule (noun): Old word for Christmas. The word ‘Yule’ is still used in old Christmas songs and religious hymns. You’re (contraction): Short form of ‘you are’. Your (determiner): Belonging to the person the speaker is addressing. Hi, I’m Jack! What’s your name? Our (determiner): Belonging to the speaker and one or more other person. We both got our hair cut at the same place! Hour (noun): Period of 60 minutes. The queue for the roller coaster was over an hour so we didn’t go on it. NOTE: In many regional accents of British English, ‘our’ and ‘are’ will be homophones. For example, in the sentence ‘Our (ar) friends are (ar) coming to stay’ the words ‘our’ and ‘are’ can be pronounced in exactly the same way. They’re (contraction): Short form of ‘they are’. My brother and his girlfriend got engaged because they’re really in love. Their (determiner): Belonging to a person or thing being mentioned. Parents are often keen to help their children with their homework. There (adverb): In, at, or to a given place. I threw the ball and now it’s over there. Theirs (pronoun): Refers to something that belongs to two or more people. I think that white football is theirs. There’s (contraction): Short form of ‘there is’. There’s a good film on at the cinema tonight. Fancy it? We’ve (contraction): Short form of ‘we have’. We’ve been digging all day and we haven’t found any treasure! Weave (verb): Make fabric/baskets by crossing threads over and under. My grandmother taught me how to weave cloth and make my own clothes. We’d (contraction): Short form of ‘we would/had’. If we’d got the bus, then we’d be home by now! Weed (noun): A wild plant that is not wanted. The gardener pulled up all the weeds in the flowerbed. We’ll (contraction): Short form of ‘we will’. We’ll have to run; otherwise we’ll miss the bus! Wheel (noun): A circular object used to move things over the ground. The back wheel of my bike is bent and needs to be replaced. We’re (contraction): Short form of ‘we are’. When do you think we’re going to get our exam results? Weir (noun): Low barrier to control the flow of water in a river. I saw some boys fishing down by the weir. Him (pronoun): Refers to a male object in a sentence. His face looks familiar, but I don’t really know him. Hymn (noun): Religious song to praise God. The church congregation stood up to sing a hymn. He’ll (contraction): Short for ‘he will’. He’ll win the tennis match if he scores the next point. Heel (noun): Back part of a foot or shoe below the ankle. He stood on a nail and cut his heel. Heal (verb): (Cause to) become healthy again. The cut on your foot will heal by itself, but you must keep it clean. He’d (contraction): Short for ‘he would/had’. He’d better not be late or I’ll kill him! Heed (verb): Pay attention to. He should have heeded the warnings. Now he’s in trouble! It’s (contraction): Short form of ‘it is’. It’s not my fault. It’s yours! Its (possessive determiner): Belonging to a thing being mentioned. Lay the baby on its side if it starts crying. In English you can say ‘it’ about a small baby without being impolite. Native speakers often do this if they do not know the gender of the child. In most other languages grammatical gender dictates that separate words must be used for male vs. female babies. Who’s (contraction): Short form of ‘who is’. Who’s coming to your birthday party tomorrow? Whose (pronoun): Belonging to or associated with which person. Let’s get on with the game! Whose turn is it to roll the dice? What’s (contraction): Short form of ‘what is’. What’s the capital of France? Watts (noun): Unit of power in electrical items (plural form). How many watts are in an amp? Which (pronoun/determiner): Used when asking for information about people or things. Which of these shirts do you like best? Witch (noun): Woman with magic powers, usually evil ones. I’m dressing up as a witch for Halloween this year. Blue (adjective): Colour between green and violet (e.g. like the sky). Elvis was a fan of blue suede shoes! Blew (verb): Past tense form of ‘blow’. The storm blew down several trees on our street! Red (adjective): Colour at the end of the spectrum (e.g. like blood). Little Red Riding Hood is a popular children’s fairytale. Read (verb): Past tense form of ‘read’. How many Harry Potter books have you read? 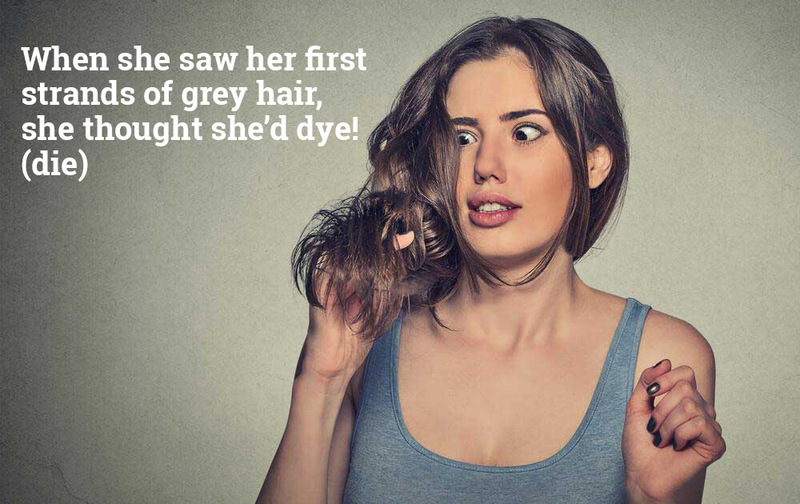 Greys (noun): Two or more shades of the colour grey. I really like how the artist has used the greys in this painting. Graze (verb): Eat grass in a field (of cows, sheep, etc.). Early each morning, the farmer took his cattle out to graze. Son (noun): A boy or man in relation to his parents. My son is only eight years old, but he thinks he is 18! Sun (noun): Star round which the Earth orbits, light/warmth from this star. The sun rises in the morning and sets in the evening. Aunt (noun): The sister of someone’s father or mother. My mum’s sister is my aunt. Aren’t (contraction): Short form of ‘are not’. We aren’t going on holiday this year. NOTE: In American English and many UK regional accents, the words ‘aunt’ and ‘ant’ are homophones. In Britain, ‘ant’ (aunt) would be the usual pronunciation in the north of the country. My father used to play rugby for England. Farther (adverb): Comparative form of ‘far’. How much farther do we have to walk? Root (noun): Underground part of a plant or tree, source or origin. A weed may grow again if you don’t remove the root. Route (noun): Way, course or path. Our route took us through the Alps and then on to Italy. Wood (noun): Small forest, material from trees. There used to be badgers in the wood, but they are gone now. Would (verb): Past tense form of ‘will’, expresses conditional. Where would you like to spend the summer holidays? Sea (noun): Expanse of salt water that covers most of our planet. Julie’s hometown is by the sea. See (verb): Action of perceiving with the eyes. If you climb to the top of that hill, you can see for miles! Tide (noun): Alternate rising and falling of the sea. When it’s low tide you have to walk a long way before you can swim. Tied (verb): Past tense form of ‘tie’. She tied the hook to the end of the fishing line. Shore (noun): The land along the edge of the sea or a body of water. We walked along the shore and found some pretty shells. Sure (adjective): Confident that one is right. I’m sure that I locked the door. Weather (noun): Relates to sunshine, rain, wind etc. The weather in April is usually showery. Whether (conjunction): Expressing a doubt or choice between alternatives. I don’t know whether to go to work or call in sick. The morning mist covered the fields. Missed (verb): Past tense form of ‘miss’. We missed the train so had to get to London by coach. Dew (noun): Tiny drops of water that form on cool surfaces at night. The grass was wet with dew. Due (adjective): Expected at a certain time. My sister’s baby is due in 3 weeks! Reed (noun): A tall plant which grows in water or marshy ground. There were reeds growing along the side of the canal. Read (verb): Look at and comprehend the meaning of words. She loved books so much that she would read them all day long. Air (noun): Mix of gases that we breathe. The air was moist after the storm. Heir (noun): A person entitled to the property or rank of another after death. He was the King’s only son, and so was heir to the throne. Night (noun): The period from sunset to sunrise. Knight (noun): An old term for a mounted soldier in armour. He was my knight in shining armour. Sew (verb): Join or repair with needle and thread. There’s a hole in my sock, but I don’t know how to sew. Sow (verb): Plant by scattering seeds on the ground. Each year the local farmers sow wheat in their fields. So (adverb/conjunction): To the same or greater extent, therefore, in order that. I’d never seen so many people in the shop, so I decided to come back later. Pause (verb): Interrupt an action briefly. I think we should pause the meeting for a short break at 12.00. Paws (noun): Plural form of ‘paw’, animal foot with pads and claws. The cat got its paws trapped under the carpet. Pours (verb): 3rd person form of ‘pour’, flow quickly in a steady stream. If John pours the tea, then you can offer our guests a biscuit. Pores (noun): Plural form of ‘pore’, tiny holes in the skin. When you do physical exercise, sweat comes out through the pores in your skin. Wrap (verb): Cover in paper or soft material. My mum likes to use colourful paper to wrap the Xmas presents. 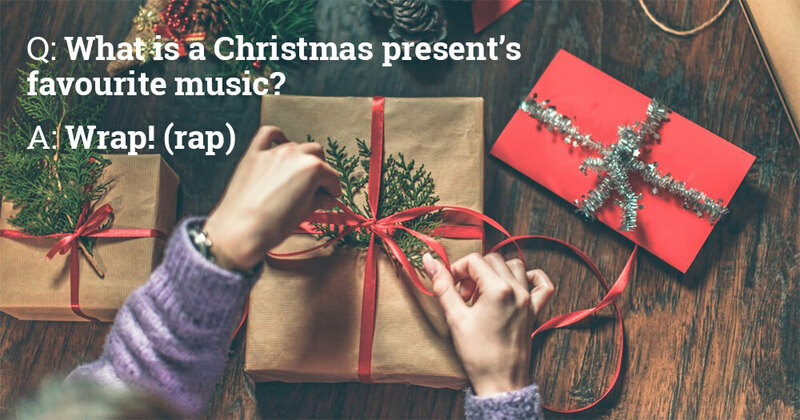 Rap (noun/verb): Hip-hop music, singing style involving quick rhymes. When I was in my teens I used to love rap, but now I’m more into rock. Wear (verb/noun): Have clothing on one’s body, damage over time through use/friction. Where (adverb): In, to, or in which place or situation. I have no idea where the nearest petrol station is. Ware (noun): Manufactured items of a certain type. John Lewis is a good department store if you want to buy kitchenware. Steal (verb): Take (illegally) without permission. If you steal goods from a shop, this is called ‘shoplifting’. Steel (noun): Common type of metal use in construction. The new art museum is made entirely from glass and steel. Write (verb): Mark letters, words or symbols on paper with a pen or pencil. Please remember to write to Santa Claus before Xmas! Right (adjective): Correct, just, opposite of left. I answered all the test questions, but only got half right. In many cultures, older boys must complete a rite of passage to become ‘men’. Buy (verb): Get something in exchange for payment. I am going to buy some food from the Supermarket. By (preposition): Identifying who performed an action, near to, using. My homework gets checked by my teacher. Bye (exclamation): Informal way of saying ‘goodbye’. Sell (verb): Give or hand over something for money. I want to sell my car and buy a new one. Cell (noun): Small room for a prisoner. The police kept the thief in a cell overnight. Hear (verb): Perceive sound with the ears. I could hear people laughing in the next room. Here (adverb): In, at, or to this place or position. We’ve lived here for most of our lives. Break (verb): Smash or separate into pieces. Be careful not to break a window with that football! Brake (noun): A device used to slow down a moving vehicle. When you want to slow the car down, remember to use the brake. Affect (verb): Influence, cause to change. The Brexit vote will certainly affect the UK economy. Effect (noun): A change which is a result of an action or other cause. No one knows what the effects of this political decision will be. When sailors die they are sometimes ‘buried’ at sea. 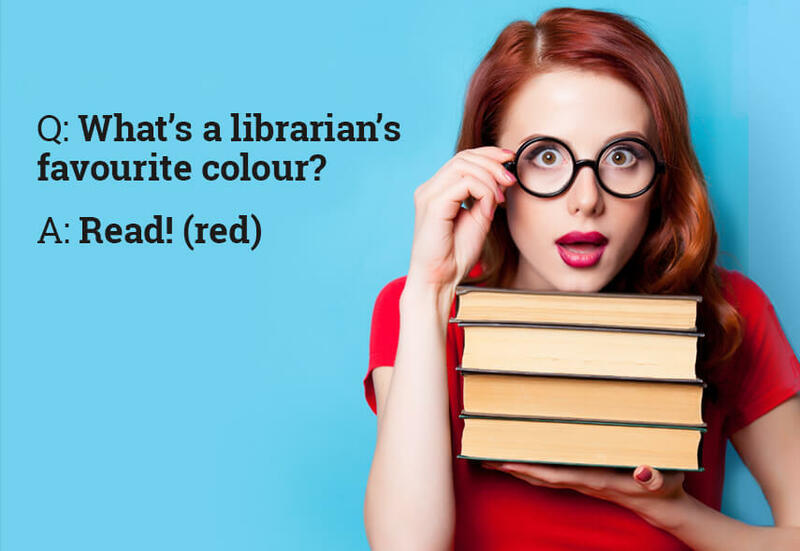 Dye (verb/noun): To colour something, substance that adds colour. My sister would like to dye her hair pink, but I think green would look better! Waste (verb/noun): Use or expend carelessly, rubbish or unwanted material. Let’s go. I don’t want to waste any more time! Waist (noun): Part of the body or measurement around the hips. I need a pair of jeans with a 36-inch waist. Know (verb): Be aware of. Most men know how to boil an egg, but some don’t! No (exclamation and determiner): A negative response, not any. No, I don’t want to mow the lawn today. Accept (verb): Agree to receive or undertake something. I said the dog had eaten my homework, but the teacher didn’t accept my excuse! I invited everyone to my birthday party except Jamie. Wait (verb): Stay where you are until a particular time or event. I didn’t want to wait any longer, so I left the cafe. Weight (noun): The heaviness of a person or thing. My wife often worries about her weight, but she’s actually quite slim! Weigh (verb): Use scales to determine the weight of something. Match officials have to weigh each boxer before a professional fight. Way (noun): Method of doing something, road or route. We got lost and I had to admit that I didn’t know the way home. Whey (noun): Watery component of milk after the formation of curds. Whey is produced as part of the cheese-making process. Flew (verb): Past tense form of ‘fly’. The beautiful eagle flew high above the trees. Many people suffer from flu during autumn and winter. Flue (noun): Duct or pipe for smoke. When we got a wood-burning stove, we had a flue and liner installed in the chimney. Threw (verb): Past tense form of ‘throw’. He threw his dirty clothes into the laundry basket and put on a clean t-shirt. Through (preposition): Moving in one side and out of the other. He walked through the door and went straight upstairs. The survey was conducted with equal numbers of male and female participants. Mail (noun): Letters and parcels sent by post. The postman put the mail through the letterbox. Vain (adjective): Inflated sense of self or appearance, producing no result. I think a lot of fashion models are vain. Vein (noun): Type of blood vessel. The patient needed an injection, but the trainee nurse couldn’t find a vein. Vane (noun): Weathervane, broad blade attached to rotating wheel/axis. The weathervane moved from side to side in the wind. Weak (adjective): Opposite of strong. I like my tea weak, with milk and one sugar. I can meet tomorrow, but I’m around all next week. I can’t eat a whole pizza to myself. Would you like to share? Hole (noun): Gap or space in the ground or a surface. There’s a hole in my pocket. That’s how I lost my key! Bored (adjective): Lacking interest or engagement. The girl looked bored and half-asleep in class. Board (noun/verb): Long and flat piece of wood, get onto transport (plane, ship, etc.). The window was broken and a board had been nailed across it. The surface of the stone was coarse and scratched his fingers. A friend of mine is doing an online English course. Higher (adjective): Comparative form of ‘high’. Our company sales figures are higher this year. Hire (verb): Rent, borrow for money. There’s no need to take bicycles because we can hire them at the park. Plain (adjective/noun): Simple, without flavour, large flat area of land with few trees. I usually have plain yoghurt and muesli for breakfast. Our plane landed at 2 o’clock sharp. He read the letter aloud so that everyone could hear. Allowed (verb): Past tense form of ‘allow’. The museum staff allowed us to take several photographs. Principal (adjective): Main, number one. The government’s principal concern is immigration. Principle (noun): Fundamental truth or proposition. You can trust Rob. He’s a man of principle. This is basically a fancy way of saying “in a real sentence or situation”. Context helps us understand the intended meaning behind the usage of a word. This becomes even more important when learning homophones because words like pause/paws/pours/pores all have identical pronunciation! You can only work out which meaning is intended by looking at the context. 2) Have a laugh with English homophones! 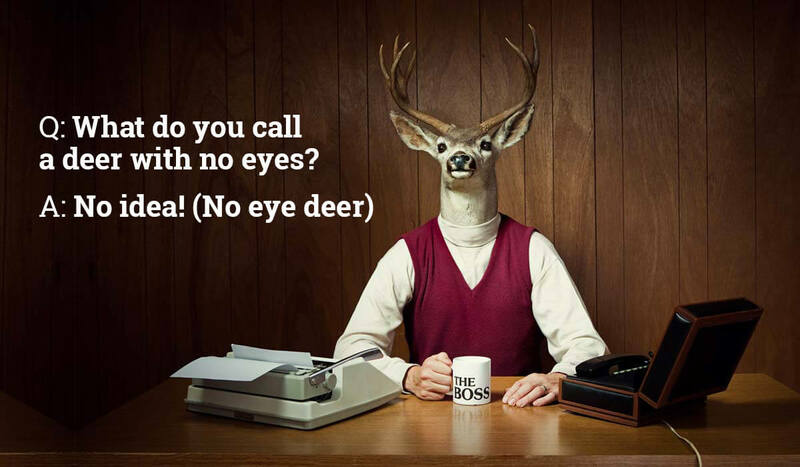 Many English jokes use homophones to confuse the listener and create puns. You have already seen several jokes in this study guide, but you can find more on Homophonelist.com. At higher levels, exploring English humour can be a really good way of developing your understanding of vocabulary and culture. The best way to learn vocabulary is to repeat it regularly. Mobile apps offer a quick solution for learning homophones on the move! You can download apps like Homophones Free or go online to play the BBC’s homophone game. Another good way to learn homophones is to practise them in your writing. Take a set of homophones and write one sentence that includes ALL of them. It does not matter if the sentence is nonsense! The main aim of the exercise is to compare the different meanings of the homophones. For example: I said “bye” to my friend and went to buy a coat in a shop by the river. Native speakers often make spelling mistakes because of homophones! This shows the importance of learning the correct meanings AND spellings of words that have the same pronunciation. Try this game: Make flashcards with x1 homophone on each side and the translation in your language in brackets. Ask a friend to choose random cards and read out the homophones and/or translations. Try to write down the correct spelling of the word, and then check to see if you are right! Now that you have been through the homophone list, it is time to test your knowledge! Try each of the exercises in this quiz and then check your answers at the end. Put the follow homophones into the sentences: pause, paws, pours, pores. Whenever it rains, the water _____ off the roof into the drain. If you feel nervous during the presentation, then just _____ for a moment. A facial scrub helps clean the _____ and prevent spots. Could you please keep your dirty _____ off the biscuits! Write down the correct homophone for each of the jokes. Q: Why was the mortgage sad? A: Because it was a loan! Q: Why will you never starve to death in a desert? 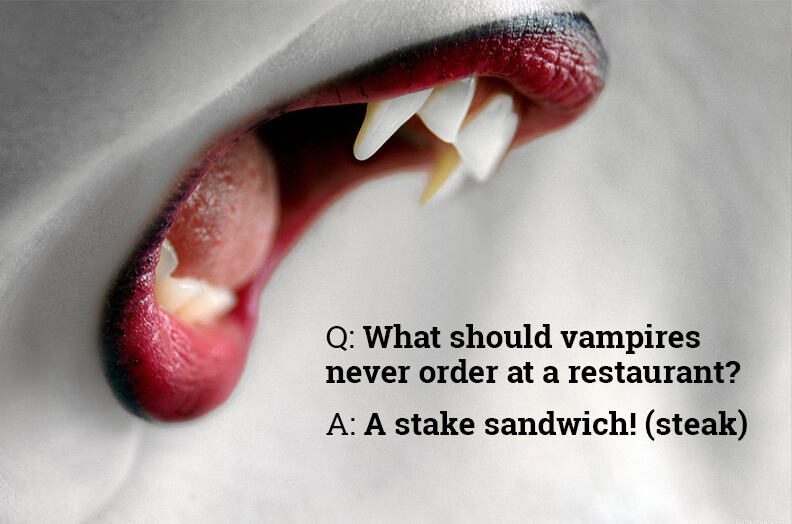 A: Because of all the sandwiches there! Q: Why does a milking stool only have three legs? A: Because the cow’s got the udder! Choose the correct homophone in each of the following sentences. Our company’s guiding principal/principle is trust. Its/it’s forecast to rain all next week. If you’re going swimming in the sea, be careful of the current/currant! I’ve decided to except/accept the new job at Google. Find the errors in the following text and correct the spelling of the homophones. I went to sea the doctor on Thursday because I thought I’d caught flue. When I arrived, I wasn’t shore wear the waiting room was sow I asked at reception. They told me witch doctor to see and ware to go. Their were few patients sew I went straight in. The doctor took a pencil to rite down my symptoms. He said I didn’t have flew, but that stress could be the sauce of my headaches. He gave me some aspirin, which soon took affect. I was pleased that my visit had not been in vein.